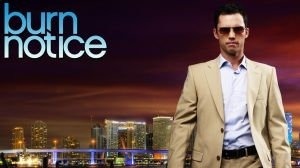 Secret agent Michael Westen just received a burn notice - a statement that a spy is unreliable and has been effectively fired - for unknown reasons. Now, Westen must find out who issued the notice and why they did it without being able to use the resources and contacts he once had at his disposal. He has spent the previous decade working for the government in Eastern Europe and returns to his hometown of Miami to get his life in order. Michael will stop at nothing to find out why. Shut out from his normal contacts, but still driven to right wrongs, Michael needs to stay under the radar in order to stay in the game. Director: Dennie Gordon Writer: Alfredo Barrios, Jr.
As Michael attempts to learn more about Burke's underground network, they are sent to break a prisoner out of a Russian black site in Cuba. In order to help, Fiona and Madeline must frame a corrupt Russian bureaucrat for treason. Michael meets a former Russian operative who now works as part of Burke’s mysterious organization. In order to get out of Cuba, they’ll have to outwit a bloodthirsty counterintelligence expert who’s locking down the island. 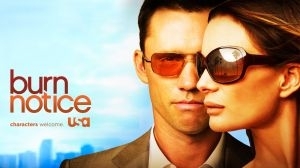 Strong convinces Fiona to help Michael’s mission by making her an offer she can’t refuse. Michael and Fiona pose as hackers at a malicious programming syndicate in order to steal information for Sonya. 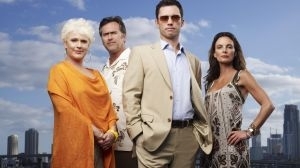 But Michael’s life gets complicated when working with Fiona again brings back painful memories. Meanwhile, Sam and Jesse help Barry track down a former girlfriend in exchange for falsified documents. June 15th 2013 Genre rating added by Administrator. June 15th 2013 Genre added by Administrator. June 15th 2013 Genre rating updated by Administrator. April 23rd 2012 Rating updated by Sukkel. February 24th 2012 Genre rating added by Christof. February 24th 2012 Rated by Christof.